You probably already know that I am all about saving money. However, did you know that I love to find ways to also streamline my life? As a wife, working mom and blogger my time is valuable. So when I can do something that saves me both time and money, I’m sold! 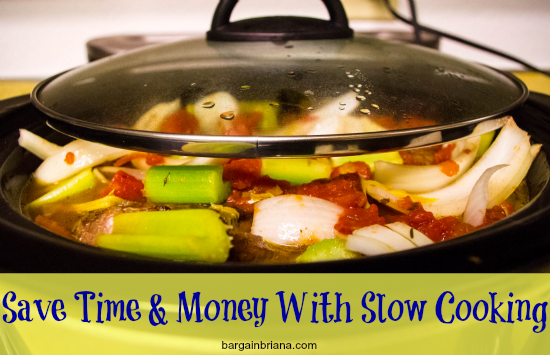 My secret to saving time and money is using my crock pot! Can you believe that is the big secret? Seriously, if you are not using a crock pot to streamline your life then you need to start ASAP. When you cook meat in the crock pot it cooks all day, usually on low for 6 to 8 hours. This gives the meat plenty of time to get very tender. Less expensive meats that aren’t usually as good in the oven or on the barbecue are perfect in the crock pot. Add in your favorite broth and vegetables and you will have a flavorful and tender piece of meat once it is cooked. Using a crock pot makes it very easy to cook large batches of food. Cooking large batches of food will allow you to store portions in the freezer so you have quick meals. You will need a larger crock pot to cook larger portions but it is well worth the investment. Amazon has some wonderful deals on crock pots. Getting 2 or 3 meals cooked at the same time is a huge time saver for me! It costs a lot more money to cook food in the oven! Using a crock pot not only saves you time but can help lower your utilities as well. This is especially true during the summer months when you don’t want to warm up your home using the oven. Whether you are a working mom or busy running your kids to and from activities, you know how hard it is to get a homemade dinner on the table. Sometimes it is just easier to pick up fast food or make a sandwich. Using your crock pot will allow you to get a homemade dinner on the table with very little work. Before you leave the house or start your day, put all your ingredients in the crock pot, put the lid on, turn it on and let it cook. Seriously, it is as simple as that! If your mornings are hectic you can even prepare your crock pot dinner the night before. Just put all the ingredients in the pot, put the lid on and store in the refrigerator till morning. Tip: To help save on time, check out our Freezer to Slow Cooker meal plan. 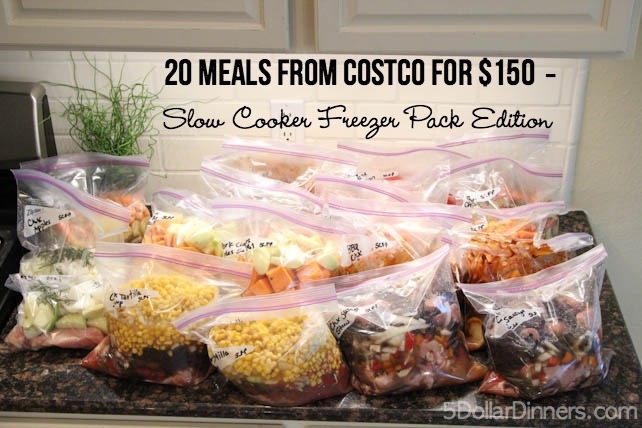 This is a great way to stock your freezer full of easy slow cooker meals! A lot of families opt for the more expensive chicken breasts. Buying a whole chicken is less expensive and so easy to cook in a crock pot. Clean out the cavity, stuff with onions, garlic, rub spices on the chicken and let it cook! Once the chicken is cooked you can shred the chicken and use it in a variety of dishes. You can also make your own homemade chicken stock. Purchasing a whole chicken instead of breasts will save you a lot of money! Find crock pot recipes here.